Visit the impressive Raleigh Falls, situated on the Coppenameriver and walk the indomitable Voltzberg. 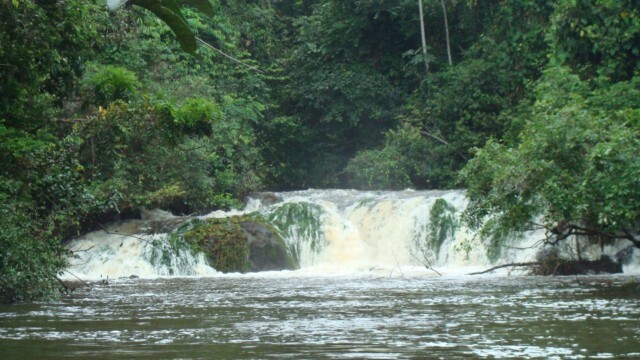 On this site you will find important information about the Raleigh Falls and Voltzberg, you can also book your trip. In December 2000, the Raleigh Falls and Voltzberg where placed on the UNESCO World Heritage List. Located in the Upper Coppename River the Raleighvallen together with Voltzberg contain an area of ​​approximately 78,000 hectares. This is one of the last uninhabited rivers on earth. The Raleigh Falls are well known with birders. In this area there are 350 different bird species already spotted. 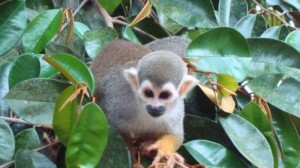 Also, eight species of monkeys are found in this area. 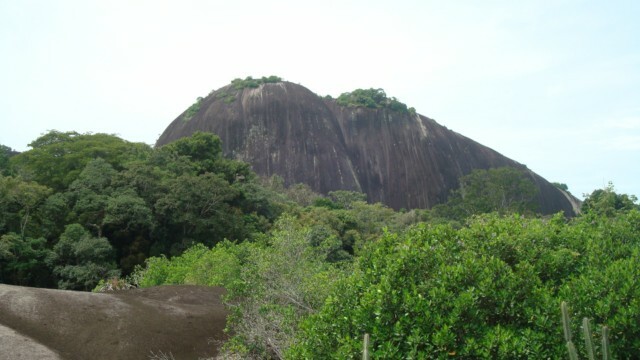 Together with the Granisieberg and the Stockum Berg they are part of the Central Suriname Nature Reserve. The Voltzberg is about 240 meters high. During the walk you come across different animals, or you will hear them. Especially the roar of on off the monkeys is impressive. After a walk of one hour you can enjoy the beautiful view from the top of the mountain. The green view will truly astound you. During this tour you will pay a visit to the Marron – village and meet the Witagron Kwinties. The Kwinti’s (Kwiinti) are descendants of the Maroons who already moved to the Surinamese jungle in the 17th century,in 1684 negotiated a peace treaty with Governor Van Aerssen of Sommelsdijck. Only in 1887, 24 years after the abolition of slavery were Kwinti recognized as free people . The Kwinti’s live at the Coppename river. Their language is spoken by fewer than 1000 people. Kwinti is a creole language based on English, with French and other influences . The language resembles the language spoken by the Aluku and the Paramacaners. The Voltzberg is depicted on the note of 20 Surinamese Surinamese Dollar.